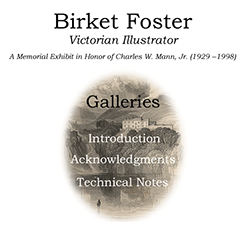 This is our first attempt at a "virtual" exhibit, and we owe a great debt of gratitude to staff members outside of Rare Books and Manuscripts who have put their technical and graphic skills to use in order to create this exhibit. Larry Wentzel and Andy Biggans of the University Libraries' preservation department and Chris Holobar of the lending services department scanned all of the images. Their supervisors (Sue Kellerman, Judith O. Sieg Chair for Preservation, and Trish Notartomas of lending services) supported our neophyte digital endeavors by authorizing the release time for their work. Larry got us started by setting up the rough guidelines for the online exhibit, and Chris mounted the images on the site and pulled everything together to give the exhibit its present shape. Jason Weigle, also of lending services, provided additional technical advice.